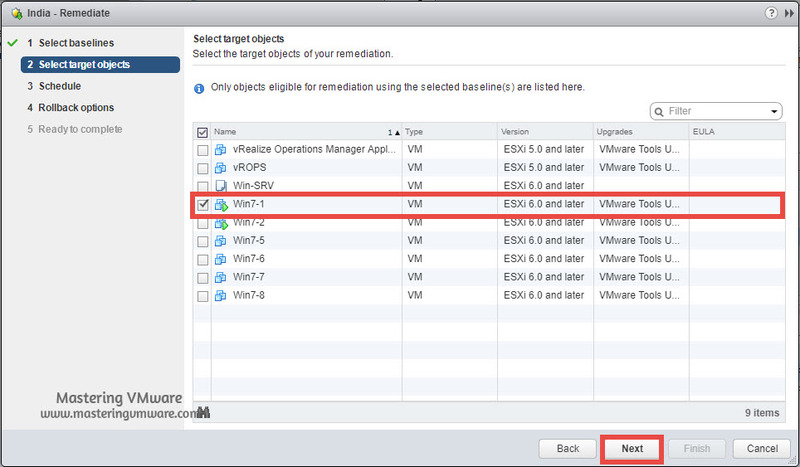 In this series of VUM we have seen on how to patch ESXi hosts using VUM step by step but by using VUM we can also upgrade the VMware Tools directly. VMware Tools is an complete suite of drivers & utilities for a virtual machine to perform smoothly. It is always recommended to install VMware Tools inside virtual machine to get better insight & better performance from the virtual machine. 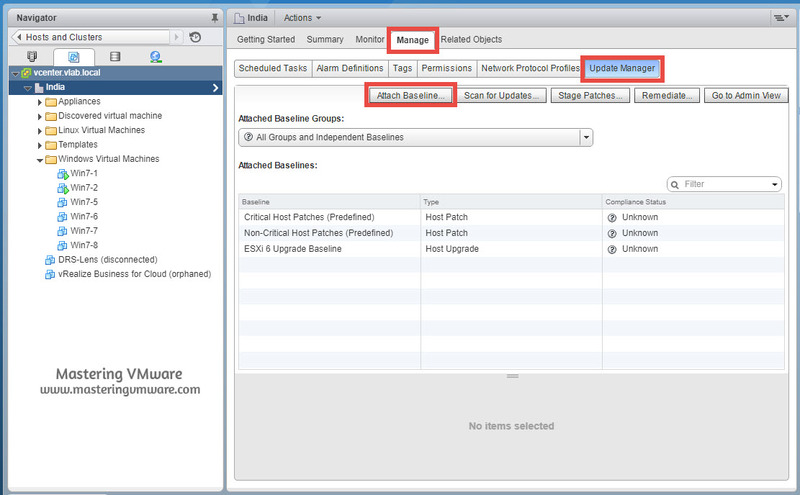 vSphere Update Manager allows you to upgrade vmware tools of the virtual machine running in your environment. 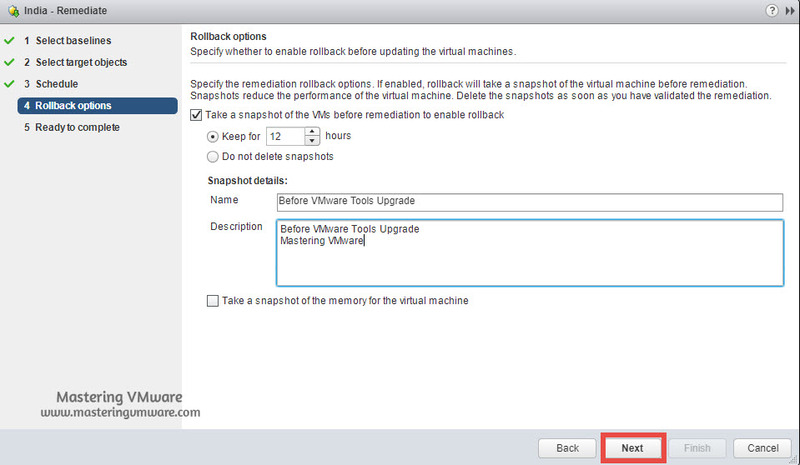 For the backup purpose take the snapshot of the virtual machine before upgrading VMware Tools so if something is not working after vmware tools upgrade you can revert to snapshot. If you don’t want to take manual snapshot then at the time of upgrade you will get option to take the snapshot of virtual machine. First go to the virtual machine & you will see that you have update available so that you can upgrade vmware tools. Choose the vCenter Server > Manager > Update manager or go to Update Manager directly from Home screen. Click on Attach Baseline to attach the baseline then we can scan for upgrades. 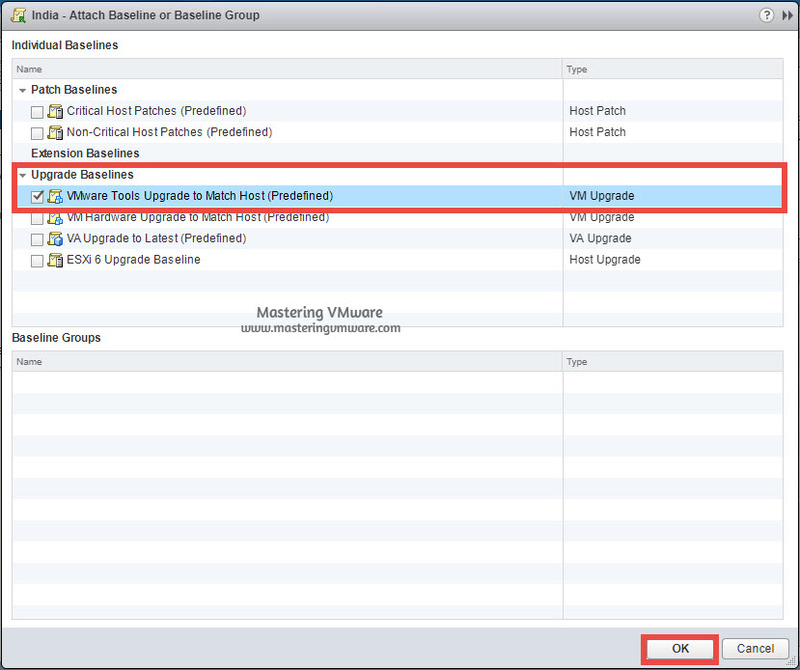 Choose the Upgrade Baseline > VMware Tools Upgrade to Match Host. Now we will scan for updates. Click on Scan for Updates as shown. It will scan for available upgrades. 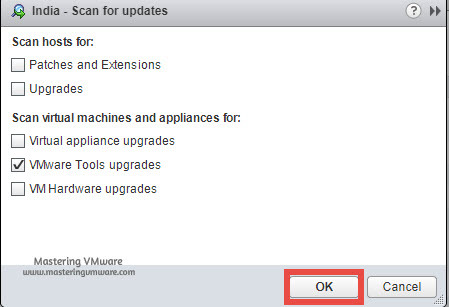 Choose VMware Tools Upgrades only & click OK to scan. As you can see in the Compliance status tab it is showing Non-Compliant. We have 2 Non-Compliant’s. 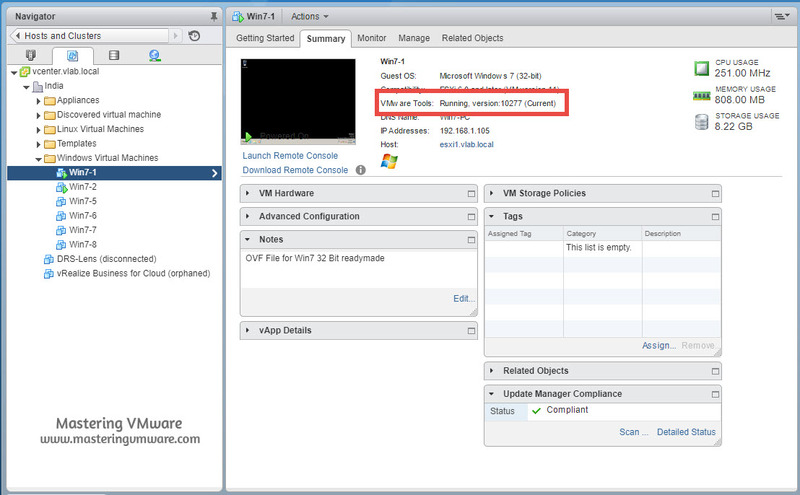 So that means we have 2 VM’s on which we have to upgrade the VMware Tools. Click on Remediate to start the Upgrade process. 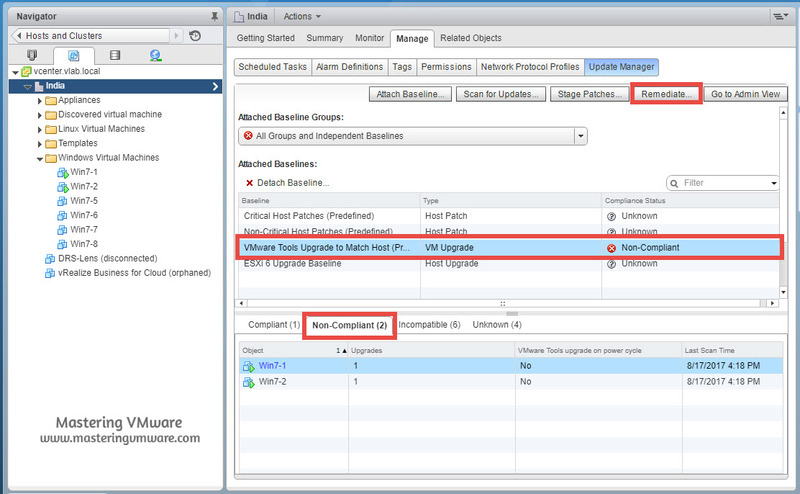 Choose the remediation type as VM/VA remediation. 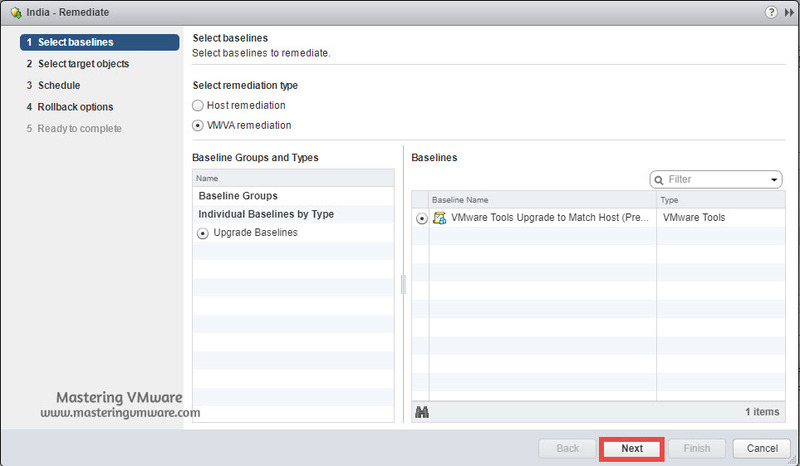 Choose the virtual machine on which you want to upgrade VMware Tools & click Next. If you need you can schedule the Upgrade activity according to your requirements. Provide Task Name, Description & Schedule below. You can configure the Rollback options here. In this you can configure for take snapshots before the upgrade. It will take few minutes to upgrade the vmware tools. 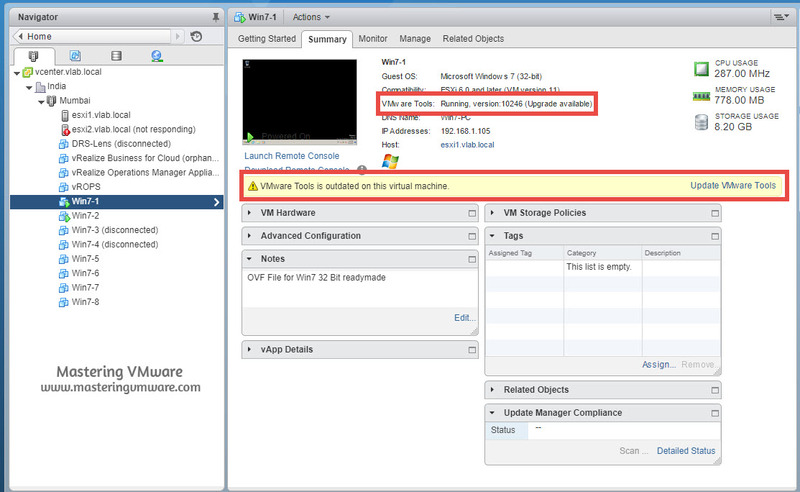 Once the task has been completed you can check & view the VMware tools details in the summary of VM. If the snapshot is not deleted you can delete it manually. 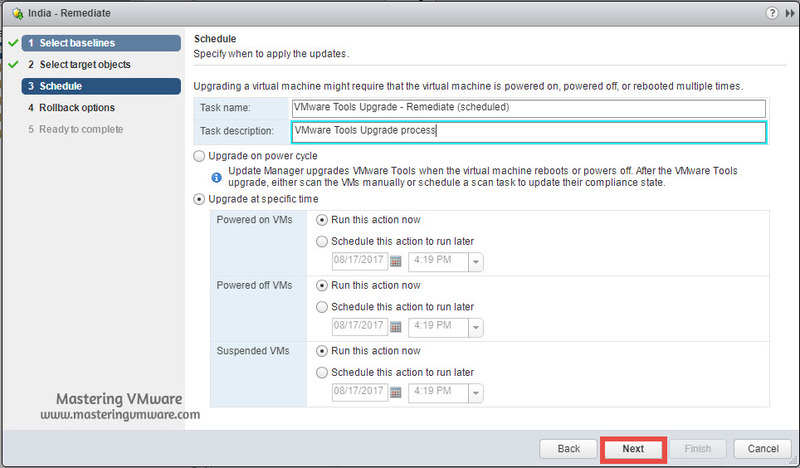 Using this way you can easily upgrade the VMware Tools using vSphere Update Manager step by step. Nice valuable Information Sir !!!!!!!!!!!!! what if vcenter directly does not have access to internet. we need to download vmware tool offline? I saw that we cannot create a separate Baseline for vmware tools. or can we ? i know to how to import vmware tools bundles to the patch repo. but what needs to done after that ? 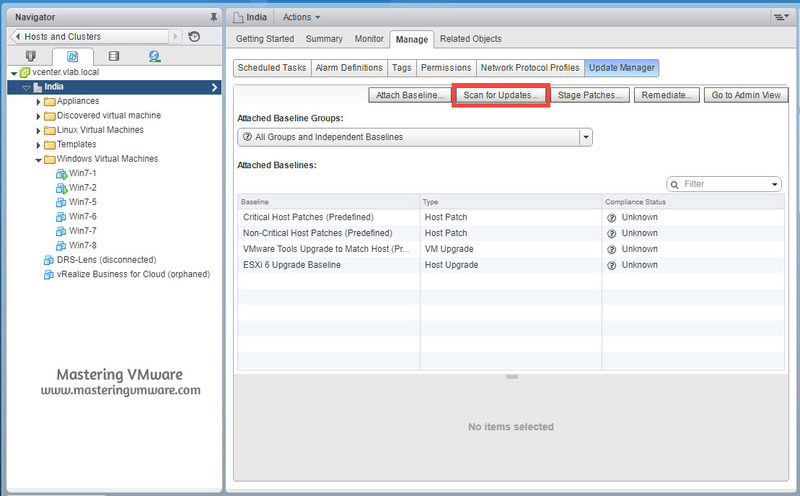 I am not sure about creating baselines for VMware Tools upgrade, as it is only for ESXi. I need to check on it.